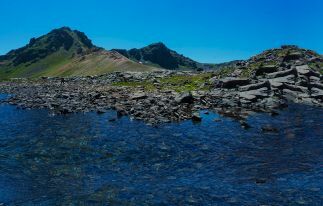 During the economic crisis holiday in Armenia is becoming more and more popular. This is not surprising: inexpensive food, accommodation and transportation is a huge saving for those with a small budget. 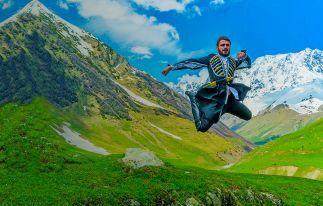 In addition to these important factors, we want to introduce you to some budget options for the interesting entertainment in Armenia. You will be able to have a good time and save a lot of money! 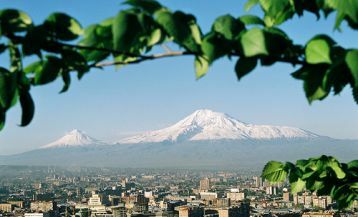 Yerevan is sometimes called “the city of museums and galleries.” And, indeed, there are so many wonderful educational museums that will allow you to plunge into a whole new world and learn a lot about the history and culture of Armenia. For those with a small budget, we have good news: the last Saturday of each month, the entry to most Yerevan museums is free. And every year on May 16 Armenia celebrates the International Museum Day, on which all the museums are open to visitors, and anyone can make a fascinating tour. By the way, this day also offers various interesting events: film screenings, exhibitions and etc. 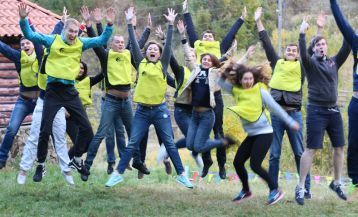 So once in Armenia at this time, try not to miss this opportunity. 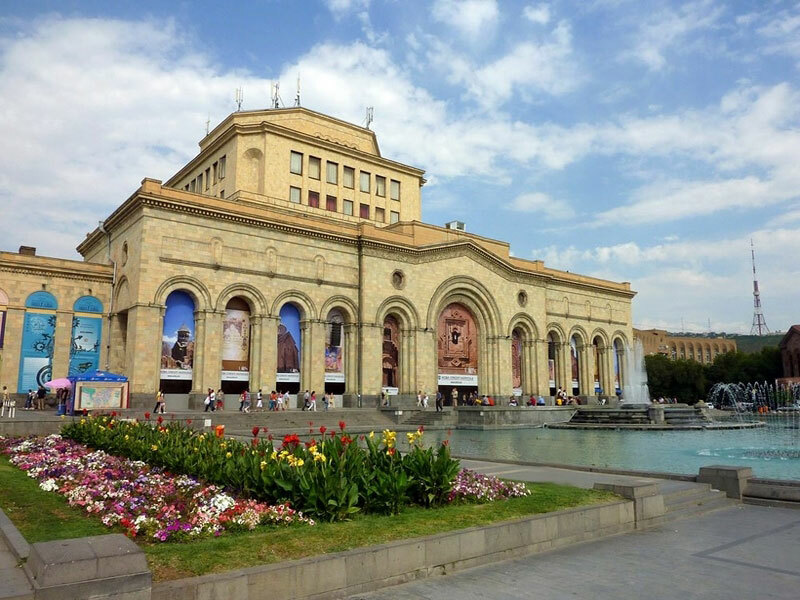 In the capital, there are also museums, which at any time can be visited without a ticket: Genocide Museum, Military Museum (in the pedestal of the statue “Mother Armenia”), the architect Alexander Tamanyan Museum and the National Museum of Architecture (both near Vernissage fair). Yerevan Zoo is located at Myasnikyan Street 20. It was created 60 years ago by the architect Gregory Aghababian. Here you can see 204 species of animals, some of which are listed in the Red Book. The zoo operates every day from 10 am til 7 pm and on Mondays from 11 am. Ticket price depends on the size of groups: up to 3 people will have to pay 3,000 drams ($ 6), a group of 4-5 people – $ 9, a group of 6-8 – $ 12, and 9 and more – $ 17. A walk around the zoo and acquaintance with interesting animals is a real joy for the children, so if you want to have a good time with your family – Yerevan zoo is a perfect place! For those who want to have a rest with the family, relax and get a lot of positive emotions we recommend visiting Water Park in Yerevan located on Myasnikyan Street 40. 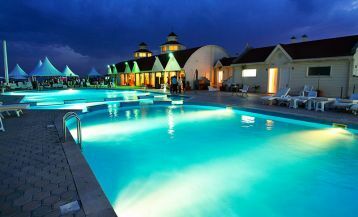 It is a huge open complex with a great 25-meter pool, water slides of various heights and lengths, as well as comfortable sun loungers. 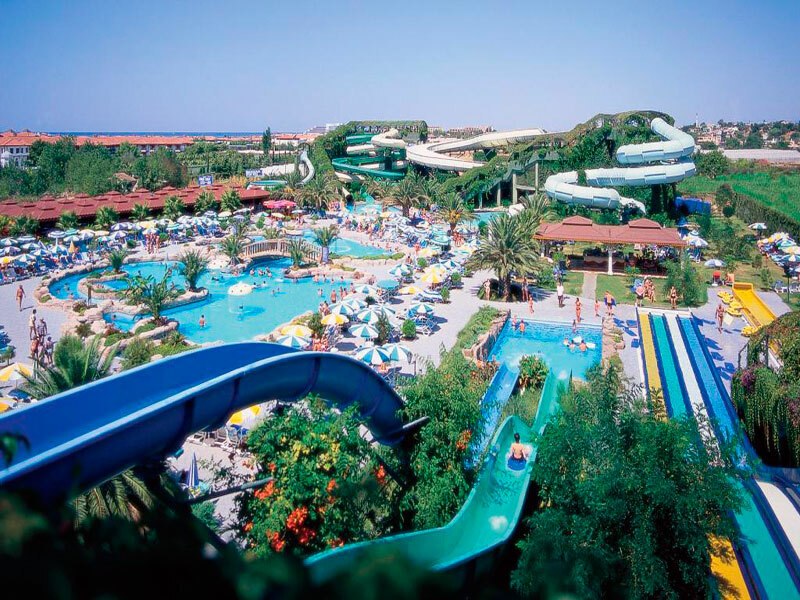 For example, family holiday lovers can have fun at the “family” water slide and those who cannot imagine their holiday without some portion of adrenalin can choose the “kamikaze” water slide. Both adults and kids who cannot swim can take swimming lessons from good coaches. The water park has a special rescue service, which is always on the alert. All pools here have high-end filtration system of the European company Astral, and the water temperature and the concentration of chlorine in it are checked each hour by experts. So if you want to have fun and escape from the summer heat come to the water park! The entrance for adults will cost about $ 12 and for children growing up to 120 cm – $ 8. You can also buy a VIP ticket, which will cost about $ 17. Great news for fans of bicycles: now Yerevan gives a great opportunity for those who want to rent a bike at a budget price. One of the most popular places is the specialty store “My Bike”, which is located on Mashtots 13. Here you can rent new and high-quality urban, mountain and women’s bicycles, suitable for exploring the surrounding area, as well as for off-road areas. For the rental, you should just show your identification document. The rental for an hour will cost you 2000 AMD ($ 4.2), and for twenty-four hours just 5,500 drams ($ 11.6). The company provides bicycles of Salcano models. By the way, the company also gives an opportunity to buy bicycles various accessories and parts. In front of the famous Opera and Ballet Theatre in Yerevan (Tumanyan 54) and the Tumo Center for Creative Technologies (Alabyan 16) you can also rent a bike for a very small price ($ 4-5). A huge area around the Opera is a great place for skiing! It is also practiced for roller skating. In winter season, a perfect budget option for entertainment are rinks where you can rent skates and have a lot of fun. One of them is located right next to the Opera and Ballet Theatre. This wonderful swan lake in winter turns into a large open ice rink, where reigns music and joyful festive atmosphere. The ice rink starts its work on December 1st. You can come here with your own skates and pay 500 AMD($ 1) per hour or you can rent skates, then the ticket price will be 1000 ($ 2) AMD. The rink also has a dressing room and a medical center. Those who wish can use the services of a coach. 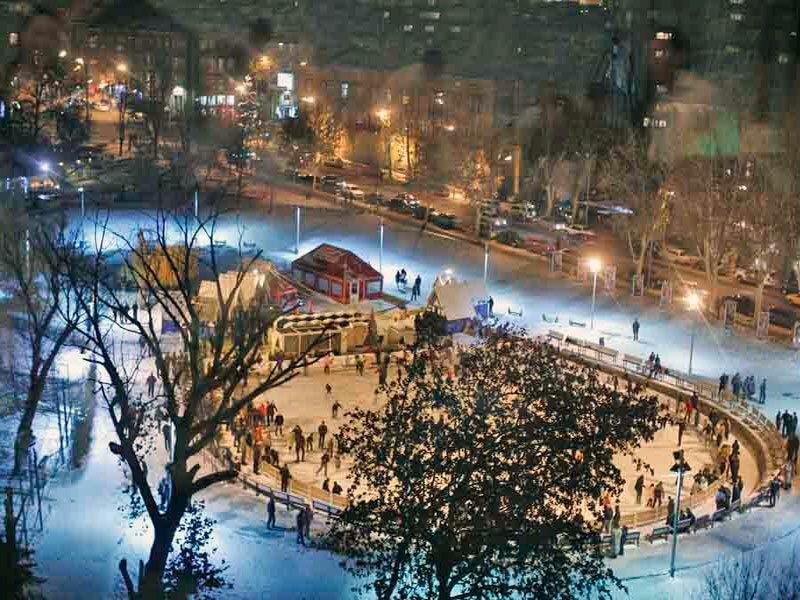 In Yerevan, there is also an indoor ice rink, which is located in the sports complex (in Tsitsernakaberd park) where, paying about $ 4, you can have a lot of fun. By the way, there also operates a school of figure skating. Play City is an interesting youth and family entertainment center in Yerevan, which was founded in 2002 and offers a variety of safe entertainment, based on new technologies. Here you will find go-karting, bowling, buggy, slot machines, 7D theater, race track, mini golf, paintball, billiard, and a restaurant and cafe-bar. Of course, we cannot call this place one of the most budget in Yerevan, but in day time they provide different interesting offers for money saving and having a good time. For example, choosing the “student” package you need to pay 4,800 drams ($ 10) and get an hour of bowling and a pizza. For more information about prices visit their official website. For those who wants to spend a summer evening in the open air in a completely new way, we have an interesting option. Near the Sport-Concert Complex of Yerevan was founded the city’s first open-air cinema with a funny name “Corn Pop “. Anyone can go there from the beginning to the end of the summer and, having paid only 1,000 drams ($ 2), spend a great time. Instead of tickets you will receive cheerful bright bracelets that will show that you are “law-abiding spectator” and for the same amount, you can get a blanket and a pillow. On the territory of the cinema, there is a brightly painted wagon which offers all sorts of goodies, and popcorn. “Corn Pop ” Cinema has already become one of the favorite places for the locals, as well as a great place for romantic dates! As noted in one of our previous articles, Armenia, especially Yerevan offers a huge selection of different budget places where you can have tasty snacks. Tea and coffee houses, fast food restaurants, and cozy cafes can be found everywhere here, and by European standards, the prices are really low enough. 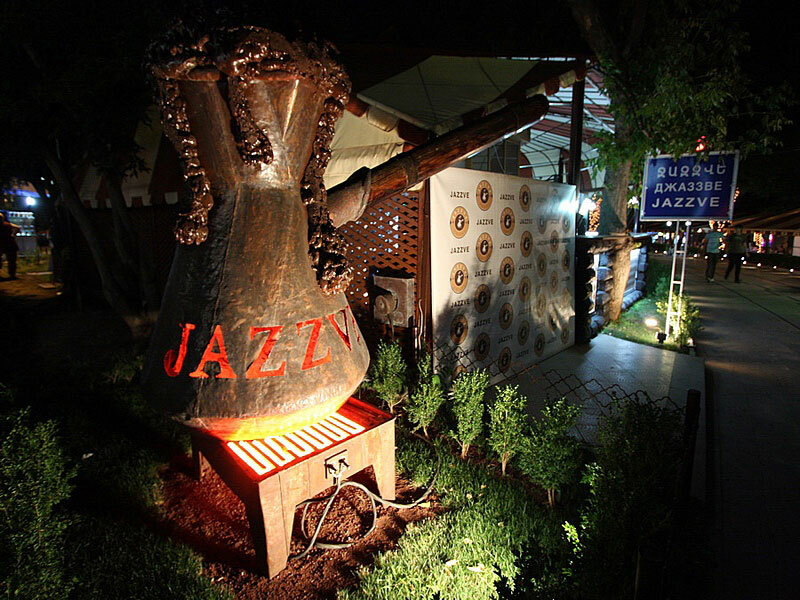 For those who get hungry, we can mention the cafes Karas, Tumanyan Shaurma, Mr. Gyros, which offer delicious fast food. And the prices in more detail can be found here. If you want to drink coffee or tea or have a delicious dessert, we can recommend the cafe Jazzve, where you can enjoy delicious cakes at 500-600 AMD($ 1.3). Among the pubs, the budget are considered Irish pub and Hemingway. The last offers cocktails the prices of which start from 1300 AMD to 4500 AMD ($ 2,7-9,5), and the price of a glass of wine will cost from 800 to 1,500 drams ($ 1,7-3,2). Restaurant also offers a wide selection of coffees (Espresso, Americano, Cappuccino, Latte, etc. ), which will cost for 700-1500 drams ($ 1.5-3), as well as teas for 500-1000 drams ($ 1-2), depending on the variety. As you can see the variety of entertainment in the country is wide enough, and anyone can find something to their taste and pocket!